The Department of Homeland Security has announced plans to release possibly 5,600 immigrants, many of them complete families, across the Rio Grande Valley. The move will strain all the communities affected, and city officials must do their part to mitigate potential problems. Brownsville City Manager Noel Bernal said officials with U.S. Customs and Border Protection gave him that estimate of migrants who will be brought to Brownsville, Harlingen and McAllen over the next few days. The government began bringing migrants to the area last week; officials said they couldn’t handle the number of people who have come to this country recently, and they no longer could enforce President Donald Trump’s order that they all be incarcerated. They now are being released after being given hearing dates in federal immigration courts. 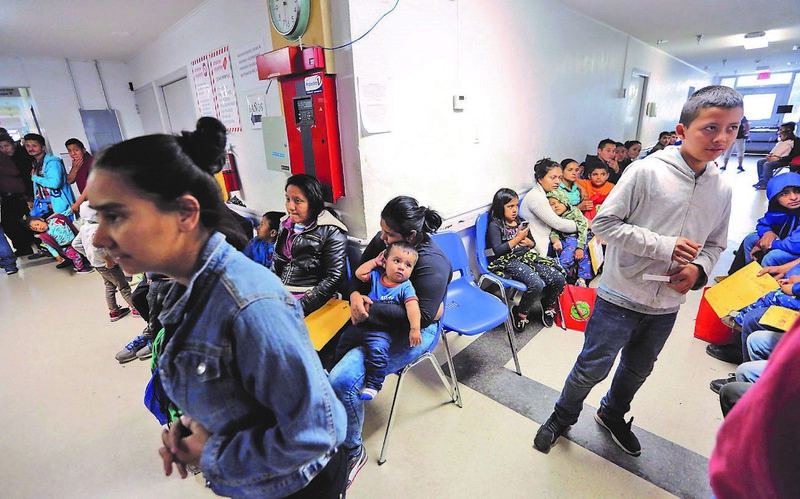 Volunteers all across the Valley have stepped up admirably to help the migrants since the initial surge of Central American refugees began arriving nearly three years ago. Shelters such as Loaves and Fishes in Harlingen and Good Neighbor Settlement House have taken in and assisted as many as possible. They and local churches are trying to meet the migrants’ immediate needs and help them find and reach relatives and sponsors across the country who can house them until their immigration cases are adjudicated. Catholic Charities has gained international acclaim since it began receiving hundreds of unaccompanied youths from Central America who began arriving in the area, seeking asylum. The group outgrew the Respite Center it established downtown, and in December moved to a 16,000-square-foot building near Hackberry Avenue and Second Street, but the city ordered the group to vacate after neighbors complained. Darling said the city would help find a better location. Critics have suggested that isn’t the city’s job, and taxpayers’ money shouldn’t be spent on such efforts. However, cities can’t escape the need to address the migrants’ needs, and it’s best to help provide a place where those needs can be met, and they can move on to cities and families that can provide them more permanent homes. Surely, no one wants to force migrants to become vagrants — that contradicts the humanitarian spirit that so many Valley residents have shown in the past. But it also is the most cost-effective approach; it enables volunteers to help meet the migrants’ needs, while reducing the costs that would be incurred if we allowed them to become stranded on our streets.